Artists Andrew Eutsler, Shane Heinemeier, and Alison Ward have constructed the Sea Shanty, a dual house-raft for meditation. 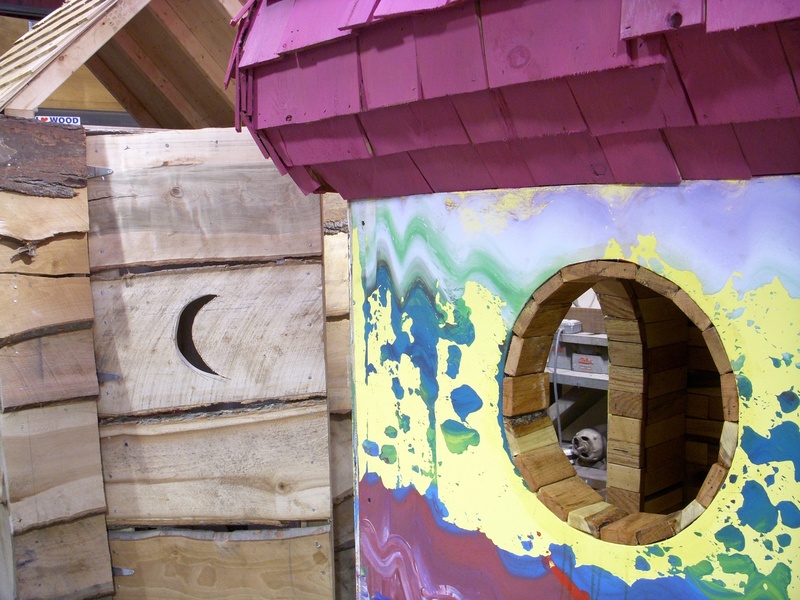 The vessel is a platform with two shacks: one outwardly flamboyant with magenta shingles and Shane Heinemeier’s characteristic “swipe paintings,” and the other plain clapboard, outhouse-like, inwardly fitted with a throne and gold leaf. Each structure is just large enough for one person, sitting down: contrasting spaces to sit and contemplate extravagance, seaworthiness, and the water. This fabulous vessel is to be moored at Marina 59 in the Rockaways and will be part of Brindalyn Webster’s dedication ceremony on July 9.